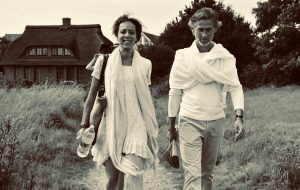 What does it feel like to be in a marriage with a spiritual teacher? Well, I have many opportunities to learn and observe over the years beside my partner and beloved Igor Vamadeva. As his student, here are some important lessons I’ve learned which I would love to express and to reflect on what the teacher-student relationship looks like from a close up perspective. When a student doesn’t have the understanding that meditation will reveal the hidden root psychological aspect which has been repressed within – and how the limitations could play tricks with the mind – it is their duty to reach out to the teacher, as they have entrusted Igor with this job of guiding them through the process. Yet what I have seen again and again is that when a student reaches their limitations, they often blame the teacher or lash out with a personal vendetta, rather than giving themselves to a process of uncompromising introspection. In the worst cases, it seems that the greater the personal love was, the greater is the hate or grudge. Thus, we’ve just learned that Igor’s two interviews on Buddha at the Gas Pump have been taken down by Rick Archer, in response to an accusatory letter from a former student or students. This student/s, who had left or was asked to distance themself from the sangha for a period of 2 years, had failed to realize the aspects of unconscious patternings behind their behavior. Yet we have not been given any details as to what the letter pertains to, other than this person felt that Igor “expressed gravely troubling behavior.” What’s disheartening is that Rick has not reached out to hear Igor’s side of the story. It looks like Rick has failed to take into account the number of testimonials and endorsements by attendees and students of Igor’s work over the years who have benefited from this work. These kinds of disproportionate measures, of taking down both interviews because of an accusatory letter from a complaining former student, are deeply troubling. It appears that Rick Archer is rewarding the “victim” mentality which is an impairment to real transformation, instead of assisting spiritual teacher-student relationship. Rick has rendered that [relationship] useless due to his own lack of real understanding and instead assisted the student in being lost in illusion, irresponsibility, and unaccountability for their reactionary responses. There is not a day that goes by that I don’t see the complexity of Igor’s role in working with others. What I’ve observed on many occasions is how among those who felt drawn to this work – and some who have been eager to come very close into our lives, into our home – that not everyone is ready to face what is involved in being in such proximity with the teacher. And Igor has always been a very accessible teacher, yet I hope he has learned a bitter lesson and is now becoming more discerning when it comes to students eager to be close to him – and as a result, close to our family life. That is what I want to speak to now so as to drop deeply into that place of being seen by truth. To have one’s heart broken open to dismantle the ego and rebuild a healthier, more whole version of oneself is not an overnight process. And this only occurs with students who really come close and are ready for the next level of surrender; they will be invited into deeper aspects of the teaching. The next level of work, more than anything, is to expose where we hide in order not to be seen as anything other than perfect, to drop more deeply into becoming heart-centered and receptive, and to not be afraid of one’s vulnerability. As a culture we pull back immediately when we feel the reservoir of shame and guilt which lies within us as soon as it is touched upon. Yet this is an inevitable part of spiritual practice once we get past the notion that meditation is just to “feel good.” In the spiritual work, other more destructive tendencies will be revealed, and one is being called to look into and deal with these blockages. People gravitate to Vamadeva for various reasons. Some come for healing old wounds; others to improve their self-esteem; others for awakening and to reach the goal of realizing the Self; others to deepen in consciousness; to enliven inner wisdom; to be touched by grace; or for the heart-opening experiences. Some don’t even know why they are here, but they want to come close. Some have left on the first day after deciding that “this is not what I want my awakening to look like.” But they all have come because on an intuitive level, many know that this work is powerful and filled with grace. And on the path, one must be willing to encounter both creative and destructive forces that lie outside of our everyday awareness. If one bypasses these aspects, then surely this may not be an integral awakening. One is bound to be confronted with limitations, old patterns, old traumas, and projections, which at times feel impossible to overcome; and one would feel one no longer knows anymore who one is, or what one is meant to be doing. This confusion is often difficult to bear and is the main purpose Igor chose to have a Sangha to be that container. So that that what is difficult for many outside in the World, such as surrendering to the process and the guidance, is something that can be understood in a focused group, and a specially created environment. What is created by Vamadeva is a sacred space in which true growth and transformation can take place – I don’t know how many places exist out there where one can feel ‘at home’ in doing this work right now, as our current culture is not up to speed with awakening let alone supported in our current consumer-based society. Unfortunately, often those who come with hidden agendas or a lack of clarity about their real incentives to approach the teacher – when encountering not what they’ve expected in their projections – some of these individuals are tempted to corrupt that sacred space by sabotaging their own process, and in some cases, this work along with it. This is when the freeze-fight-or-flight behavior pattern kicks-in and the old patterns arm themselves with defenses and take the stand supported by collectively shared vasanas (psychic impressions). One denies and acts in the most unpredictable way, defaulting to “being a victim of authority” represented by the archetypal figure of the teacher. There is nothing to lean on in this culture other than “I’ve been a victim,” or “this is abuse,” justified by “I know more” or “I know my truth.” This instead needs to be transformed into resting in the trust of the container and the process – what one came there for in the first place. We have seen this cycle happen now at various stages, where what happens is that the person shuts down any communication and, unfortunately, often leaves before the real work has begun. I would go further and urge anyone who has been touched by Igor’s work at any point in time to comment here, to share this message, and Igor’s videos. This is in support of this teaching as both of his interviews on BATGAP have been known for their contribution to some of the least addressed yet very poignant topics of the spiritual journey, delivered with crystal clarity, which has benefited thousands of seekers over the years. Images: All photographs are courtesy of Flowing Wakefulness Foundation. I’m grateful to have found Igor during a time of intense energetic manifestations in my life. I had no context to this spiritual path, or knowledge of the Devine beauty of what was happening within me. I’m lucky to have been led directly to Igor’s teachings as I later learned few teachers are equipped to provide the depth of compassion, precision, and first-hand personal experience I required from someone to guide my path. Igor’s methods ground me in a source of integral truth and stabilize me on this journey, so I’m grateful to him and his family for equally offering themselves to this work. The way the ordeal has played out is unfortunate. However, it’s impossible to overshadowed the immeasurable value Igor adds to our spiritual path. He’s a teacher that is also a living example in the rare and powerful that work he does. Needless to say, there’s overflowing love from the members that remain. Some time ago, one person told me – knowing my story of having quite a dramatic energetic unfoldment – go to BATGAP and find a teacher with whom you resonate. I don’t recall the exact details anymore but that’s how I came to Igor’s teaching; from one thing to another, I ended up at his Immersion in Italy. He let me feel that there is nothing wrong with me, and helped to court the process as well as placing me into an understanding of what’s going on. I believe that without getting in contact with Igor, my path would have left me all over the place. It was Great that Rick had interviewed him at that time. I often was reviewing those interviews, even after staying with Igor for 3 years now, as they are informative. Actually, Igor shares things there in an approachable manner, which I have never heard or read much about in other sources. I’ll save any harsh judgement about the situation, nonetheless it feels unjustified that Rick took down those interviews only because some former students felt offended. It sounds like Rick did not even attempt to ask the other side about their stance. Beloved sister, thank you for this sharing. I feel deeply touched by the many supportive voices from those who have the eyes to see and the ears to hear. This is such a wonderful opportunity to address the many misconceptions held in certain spiritual circles about this very sacred work. Those who have reached out to Rick Archer only received credibility due to their common connections and because they open an opportunity for the newly created “spiritual police” to state their self imposed importance in matters of ethical approval. But by wrong accusations built upon nothing than emotional reactions of confused seekers, they themselves become a source of unethical action towards public interest. I am very sad for those who have chosen to pursue their own narrative of being a victim of this teacher and whom I personally know and love, that they have missed out on the opportunity to free themselves from the very tendencies that Igor has simply pointed out. I was a witness to these shadows (that we all have) and I feel that with a little bit of courage, a little bit less fear or pride, they could have freed themselves of great pain and delusion. Instead, they have chosen to defend the very pattern that keeps them bound. Surrender indeed takes the courage to lose a face, lose the ground of known psychological territory for the sake of gaining the vulnerable heart we need to meet our true Selves. May this teaching be ever protected by the Light and Grace of the beloved Shakti that pours into the world through Igor Kufayev ~ Vamadeva, who has given his Life in service of being Her expression. Thank you for this brave and uncompromising post. Not only to give us the fuller story and understanding of what is going on, but also for giving us a closer perspective into the more intimate dimensions of this sacred relationship, which is not often shown, seen, or at least spoken about very openly in today’s spiritual communities. Echoing many others who have already given their insightful responses to this sharing, serious studentship of any capacity is a unique role that requires a level of dedication, fortitude, periods of doubt – as well as its own breakthroughs. We cannot afford to look at only the troughs of the spiritual journey – that also MAKE the student – and extrapolate a hasty conclusion about a student’s evolution. This current attitude and approach of censorship and policing has somewhat of religious undertones of interference with the sacred inner work from its full blossom and expression of itself. It is encouraging that there are so many other voices in unison that are instead in support of viewing this relationship with its greatest integrity. I thank you again for being the voice that which carries these dharma propping waves. “… The relationship between the preceptor and spiritual aspirant, or someone who assumes that role, is beyond anything that can be conceived by language. I’m giving you a very intimate, very personal understanding, of the relationship. I’m not now speaking in terms of what guru is, what guru is not—I can give you the whole Guru Gita verses of what guru is. That’s not the point. Your question is very individual, very personal, came directly from your heart—and I’m speaking from my heart that that relationship can never be scrutinized through any logical understanding. It goes beyond, it belongs to the beyond. It is a very intimate affair. It is more intimate than any other relationship you will ever have. And I’m choosing my words very carefully, here. 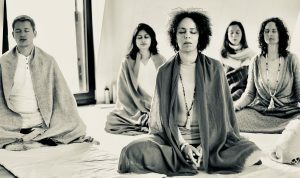 I‘m very glad and grateful that Amrita Ma is offering her profound insights on the topic of Teacher-Student relationship, true spiritual work and ethics in this connection, speaking from a place of direct experience, clarity and deep reflection. Thank you, dear Sister. I, too, was shocked to learn that Rick Archer had taken down Igor‘s interviews without examining and questioning the accusations of former students of Igor which informed his decision. I was shocked, because it also showed me the current state of affairs in our spiritual scene in the West. As someone being in the role of introducing people to Igor‘s work and spiritual path, I spoke to many seekers from all over the world over the past years, who felt drawn to explore Igor‘s teaching. A great percentage related that they had come across the BatGap interviews of Igor and had found in them one of the rare sources of true support and knowledge, which helped them to deepen their understanding of their own awakenings, to find reassurance and the guidance from someone who speaks with absolute clarity from his own experience of what the true process of awakening and psycho-physiological transformation entails. To take Igor’s interviews from the platform and refuse sincere seekers the access to this precious knowledge after failing to question and examine some hearsay and accusations, and without directly reaching out to Igor and his Sangha makes my hair stand on end. What are the true ethical foundations of spiritual work and conversation, I‘m asking? Shouldn‘t we strive towards openness and honesty in our communication, even if we speak about controversial topics like the teacher-student relationship, before judging or censoring others? Ahimsa, non-harming, and Satya, truth, are only two of the five yamas, the yogic ethical conduct at the basis of every spiritual path. Perhaps we collectively have to return to some of these very basic principles to uphold dharmic values and align with our deeper intentions. I‘ve been in this work long enough to personally know these students who left the work. We shared the space in our meditations, we laughed and cried together. I had tears in my eyes seeing all three of them again in the YouTube video recently which caused such waves of upset for them. I love them. And I‘m deeply saddened to see, how far they would go to harm the very work from which they all benefited greatly and in their own unique ways. The stories that seem to circulate currently are ridiculous, and the word “abuse” should not be used lightly. When we feel “abused,” because the teacher simply does his job and points out some of our psychic tendencies to help us grow, we totally miss the point of what this relationship is about. I have been witnessing some of the dramas and conversations back in the days, when those three students left the work, and there never has been the slightest hint of what could be called abuse. It is simply not true. I would urge Rick to reach out to some of us in the Sangha, who have been witnessing the drama in the past, so that he may be able to re-evaluate the disporportionate reaction of taking down Igor’s interviews, instead of buying this story without hearing a different perspective. In the recently released YouTube clip “The Tantric Perspective on Relationship & the Purpose of Ritual,” Igor responds to a question about disappointment in relationships by stating that every relationship by its very nature is „an assault of our sovereignty“ as the boundaries of our individuality inevitably are being challengend. Friction is created as our ahamkaras rub against each other and reflect our own rigidness and limitations, a conglomerate of psychic conditionings. Entering the relationship with a spiritual teacher as his/her student is the conscious decision to have these boundaries challenged big time – we enter the soul contract of being „demolished“ by the genuine spiritual teacher, so that our true nature can shine forth. What purpose has this sacred relationship other than to unravel and unveil the true nature of our being? It is the spiritual teacher‘s sole job and responsibility to guide his students to the direct cognition of the Self and further to the full embodiment of the Self through the process of neurophysiological transformation. And although, in this heart-to-heart relationship, different flavors are invoked and experienced, not a single student can bypass this process and inner work that is required to reach the goal of every authentic spiritual path. We should read the personal accounts and spiritual autobiographies from beings who underwent this spiritual transformation firsthand. And we should not base our understanding and knowledge of this process on the accounts of those, who experienced a so-called awakening and place him- or herself into the role of a spiritual teacher the following day. Half-baked spiritual teachers can truly mess up our process, the same way half-baked bread or any other not properly cooked food will upset our stomachs and health. Spiritual transformation is not an overnight affair, and it will never be that way. Igor‘s work is in service of bringing back the timeless dharma, beauty and true purpose of the Teacher-Student relationship. In my own experience of working close to him since many years, I’ve witnessed again and again his utmost integrity, wisdom, clarity, love and compassion for everyone who enters true discipleship – and for everyone who leaves the studentship. When walking the spiritual path and doing spiritual work in the DIY style and without the truth being reflected back to us by a living embodied teacher, it is very easy to get lost in the the jungle of hidden agendas and psychic patterns, which impede our further growth and reinforce the very structure which needs to melt, when we are sincere on the path. On the other hand, when it is not our intention to undergo genuine spiritual transformation, we do not need to work with a (this) spiritual teacher; but then should also not come into his close proximity, where the power of Grace, the power of revelation, is active 24/7. We then should simply stay in the base camp and enjoy the views of the valley from there. For all others who are being called from the depth of their hearts to hike up to the summit and discover the full potential inherent in the human birth, proper preparation and understanding is necessary about what this journey truly entails. As like in all myths and ancient stories, we will encounter the realms of angels and demons on this journey, while Consciousness expands to embrace the totality of what it means to be human and divine at once. For those sincere sadhakas and aspirants, who come into this work with clarity and purity of intention, who are courageous enough to do the necessary inner work of ongoing introspection and integration, walking this pathless path will bear fruit, as Igor is one of the rare spiritual teachers out there today, who is able to take one all the way. I really look up to you, and thank you for your words here. I appreciate the wisdom you share about all aspects’ of this journey that must be considered when walking the path. While I am deeply sorry for the trouble that this issue has caused many, I see it as a gift in the sense of reaffirming my own understanding and experience of what Igor actually brings to the table in his role as spiritual teacher: a real education and offering concerning what it means to awaken. As I read and re-read Amrita Ma’s post and Igor’s article on the role of the teacher-student relationship, I am reminded and take in at a yet deeper level the importance of this work. I hope that others will also take advantage of this opportunity to read carefully what is shared here: to do so would be to make good use of the possibilities offered by this otherwise regrettable circumstance. I have to say, I have read all of Amrita Ma Devi’s blogs in regards to this situation with Batgap, and I can feel another side to her that is an unapologetic Student, Sister, Mother, and Wife in regards to the true nature of ones’ shadows. It feels like Amrita Ma is standing at the gates of the heart in the Instagram picture of her (such a strong vision) guarding the deep nature, grace and sanctity of Igor Vamadeva’s work–no bias, just strength in her conviction of the Path of the Heart. I have seen this perhaps on a different level with friends who have come close to realized teachers, people don’t realize how much their life can change (which is for their benefit) however, out of their comfort zone when they plug into such a next level teacher, and or teaching. I have a friend that blamed the teacher for broken relationships, lost careers, and claimed “this has happened to others that have entered her circle”. When she told me this story, to me it was intuitive, and very clear; there are going to be BIG shifts when you enter into your divine truth with a teacher that will love you in all ways–even ways that you may perceive from your small identified self as negative shifts or changes. I don’t know why Rick Archer chose to remove the interviews without question, but I feel energy very strongly (I always have) and there is nothing in Igor Kufayev ~ Vamadeva that is anything less than divine and holy. In coming to him I knew my life would change, and will change, and that scared me to take that step, to be open enough to see in the dark cracks of my identity. I’m sure there will be hard times that are not pleasant for me to feel, or look at as well as uniting with my true nature–being consciousness bliss. Igor is a gift, and I’m so grateful, scared, and excited to be on this journey with him, and the Sangha. This is troubling, but there must be a beautiful purpose here somewhere. I for one am learning a lot. At this time in my meditations I can feel the intensity of the collective field, and the fear around total surrender, and trust for anyone, let alone a Guru of this level. I think its hard for people that don’t go through a visceral experience of Kundalini awakening, it feels like its all a concept that people decide on based on preconceived notions about what spirituality, and a spiritual guide/teacher is to them. People find my devotion hard to understand always cautioning me to (be careful) with Guru’s. However, for me its not a mere concept even in the early stages of this process of a teacher-student relationship; for me I FEEL, I FEEL DEEPLY, and this transmission and connection is met with an unwavering knowing in the heart, and in my bones of the grace that has entered my life in Igor~Vamadeva. It cannot be told, or conceptualized, and meditation with Igor will take one to new heights if they stick with it, and trust their own heart. When one imagines their dreams of any kind, they rarely imagine the work, and perhaps adversity that it takes to achieve and realize these dreams; the dream of awakening to me is no different. Rick Archer look into your own heart and truth will be there. Amrita Ma Devi thank you for sharing your grace, power, and unwavering love that emanated so strongly in the Instagram blog, that picture of you in Mexico is worth a thousand words. You truly are a Goddess! There is so much that I would like to write, but I shall try to be succinct. Given that Rick Archer is so concerned about the draconian and authoritarian abuses that other gurus inflict on their students, it is interesting to see how draconian and authoritarian his unilateral decision is. Given that authoritarian and abusive gurus’ words and commands cannot be questioned or doubted by the students, it is interesting that Archer cannot question or doubt the accusation brought on by ex-students. If the gurus can be questioned and doubted, and sanctioned by so-called righteous external body of authorities, why shouldn’t the students’ accusation and complaints be questioned and doubted at the same time? My former spiritual teacher used to be attacked by people, either students or people in the same organization. If I remember correctly, some of them went through the teacher’s garbage to find incriminating evidence. In my teaching work, one participant said that he got so upset and angry that after one phone call, he began to punch the sofa pillows and scream. Later he told me that he was surprised that the neighbour did not call the police because he was so loud. Another participant would cry at every retreat because I said something that hurt their ego defensiveness. In one retreat, she actually shouted at me to go f**k myself telling me that I did not know what was going on in her life. A friend of mine got so angry at an informal session that my girlfriend thought that we would never see him again. Miraculously, the friendship still continues to today. Luckily all the people that I mentionned are still in my life because they all have done serious amount of spiritual work and it was not their first time experiencing violent emotions. But I have lost people, who couldn’t trust me anymore and who simply stopped showing up. I asked another more experienced Buddhist teacher how my participants get triggered, even if I am not trying to push them, and he told me that he avoids that issue by asking them to meditate in a formal way and discussing their meditative experiences. But he told me that as long as I warn the participants of the possibility for strong emotional eruptions, that’s the way my teaching shows up. My girlfriend suffered at my hands for 7 years until she had her latest breakthrough. She was able to endure it because she loved me so much, but she thought that I was gaslighting her and unnecessarily creating problems out of trivial issues in her life, especially because by this point, she knew that there was no ego, she knew that she was consciousness beyond this bodymind. We nearly broke up 3 or 4 times because I would get so frustrated and she would feel so attacked for no reason or trivial reasons. I remember during the early years with my spiritual teacher. I felt that a black hole was approaching me and consuming everything in sight. It was like suffering from freezing cold and utter desolation in the arctic circle. My girlfriend told him about the suffering that I was going through, and he told her that Bob was lucky because the teacher had to go through that experience alone, and Bob is not alone. I just assumed that this kind of diffcult experience is the norm in spiritual work, and to see that such experience is pathologized is mind boggling to me. Even today, when I am lucky enough to receive an insight, there is an elation because I made a step forward; yet anything that contradicts that insight shows up violently. This war rages within me, and there is no guru to blame for it. It is not pleasant. Most of the time I engage in an analysis or rationalization to dampen the suffering, but it is futile because the conflict persists as long as it needs to. Gurdjieff talked about conscious suffering for the sake of evolution. There is no growth without conscious suffering. Only immature and delusional people think that spiritual work is about eliminating suffering; spiritual work is about deliberate and conscious suffering for the evolution of consciousness. but it seems that this is not what spiritual work is all about – which has more to do with losing than gaining, at least on the level of attachment to personality. This kind of understanding needs a certain psychological maturity from the student which is mostly not there, – we unconsciously cherish our personality so much that at the slightest touch on some “trigger point” we turn away… or kick back. In this seemingly liberal and individualised zeitgeist of consumerism nowadays, where every raised eyebrow could be labelled as abuse or insult or at least as a grave interference to my personal freedom and everybody carries his cherished “I am also a victim” label on the sleeve – or better on social media – one has to be either totally crazy or unshakingly following his dharma to consciously take on the role of a spiritual teacher. In the attempt to introduce a friend to Igor’s work via his interviews, was shocked today to find them gone…obliterated, and scrambled to find an answer. Settling in, the experience felt is quite a paradox – a paradoxical bitter-sweetness. There is a sadness / grief here from which its arms reach and hold those that will might miss the articulate artistry of Igor’s teaching through the vehicle of BATGAP; a grief also of the loss of the physical object that marked the beginning of my journey with Igor; a sadness for the ones who feel abused – (because it is only the depth of our own woundedness and misunderstanding that would make it feel this way); and a sadness for Rick that has done so much for us really, and is put in the precarious position as decision maker with perhaps no time to sift through and deeply investigate every complaint that comes his way. Without Rick, I never would have met Igor. The gratitude for him is profoundly sweet. I realize this might not land as a popular view, but can’t lie and would be betraying where this sadness goes, and what It, in Its heart, reveals…The feeling tone of it like leaves that fall in autumn: the death of a splendor that now rests as a quiet and breathtaking awe… its metaphoric death only to perhaps nurture an even greater splendor yet to come. There is a poignant beauty in this … Death’s beauty. On the other side of the paradox, there is a sweetness felt in the perfection of Her (as “Shiva’s Heart”) … something felt as an inner bow – – a knowing without knowing that This Mystery – this unfolding of Her, is only – (can only) be mysteriously Good. In this inner bow, Igor stands as Sacrifice. Just as the leaves that fall to nurture the earth for the delight of what is yet to come; this too is felt as a sacrifice – a sacrifice that serves and gives in ways that are unfathomable. To stand as “abuser” for those of us that do not yet have eyes to see Her Goodness in All Things and in All Ways; is truly a profound teaching. And it is felt that to behold this now and in this way, is an exquisitely beautiful thing. I would be a liar to not give Igor credit – for his Love and Devotion of Her (by grace) pierced my heart. And in moments of Grace such as this, it is felt that She (of All That Is), that this Grace is So – – and it is She that whispers here and touches this heart (that is Her’s) of Her exquisite Beauty, Power, Goodness, and Intelligent Benevolence – a Mysterious Awe that is both Igor, and, of All.